If you wouldn’t eat it raw and by itself, don’t put it in! I meticulously filter out bad parts of veggies and salad leaves while preparing the ingredients for the salad. It goes without saying that the fresher the ingredients the better salad. Bite sized pieces only. No salad should require a knife (unless you’re making some special “salad” that is served in a plate and not a bowl…I’m referring to normal everyday salads. Wash and dry ingredients. Regardless of mixes claiming they are prewashed, I still wash and dry all my ingredients before using them in a salad. Use a large mixing bowl and gently toss the vinaigrette with the mix right before serving. You get better coverage that way, and excess liquid stays in the bowl. Beware of salt. It brings out moisture and will lead to liquid at the bottom of your bowl…I often add salty items instead such as cheese, olives, pickled items, nuts, dry fruits (many indian versions have salt added to them). Don’t mess with your palette. Chose a few select ingredients and try to have some taste in mind before choosing. Often the downfall of salad is to many unharmonious ingredients. Fresh herbs are a great addition and bring a lot of clean favors and freshness to salads. Roughly chopped basil, mint, tarragon, and dill are all great choices. Avocados and sprouts make a great “glue” to hold different favors together without taxing the palette. A vinaigrette should be simple and binding. I think it should have balanced elements of all the tastes. Keeping in mind your ingredients, a vinaigrette should cater and match those ingredients. 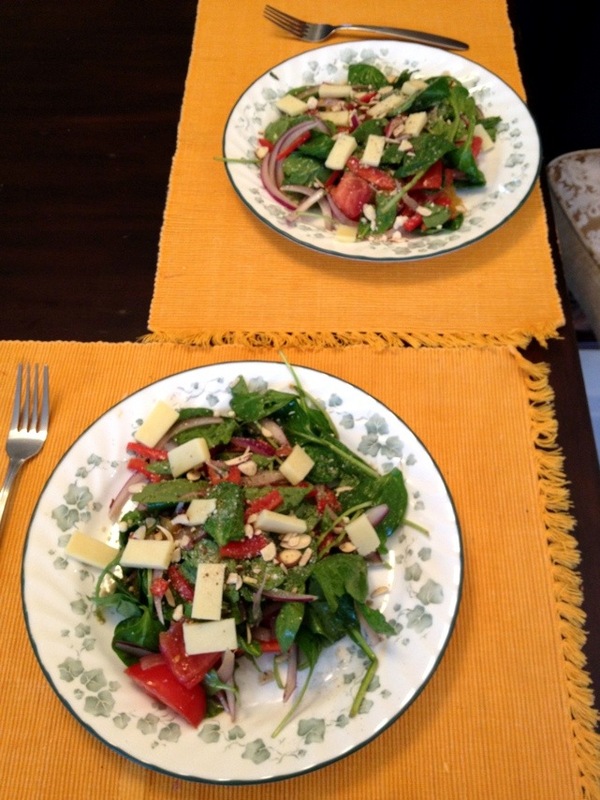 Finding your perfect vinaigrette will take time but a good overall vinaigrette I’ve listed below.